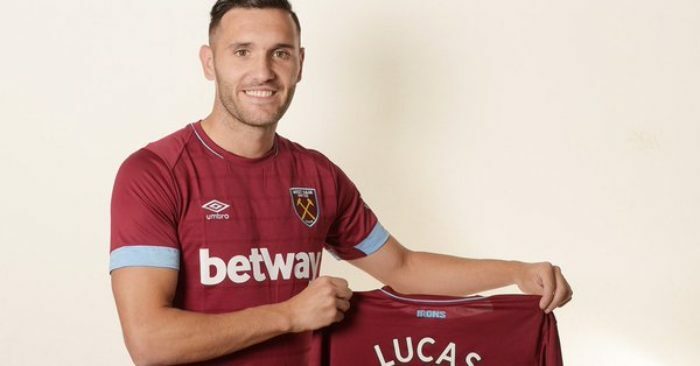 West Ham have signed Spanish striker Lucas Perez from Arsenal for a reported fee of £4m. The 29-year-old has signed a three-year deal with the Hammers, having spent the last two seasons with the Gunners. He is Manuel Pellegrini’s eighth summer signing and their second from Arsenal after the capture of Jack Wilshere. “I’m very excited, as West Ham are giving me the chance to stay in the Premier League,” Perez told the club’s official website. West Ham director of football Mario Husillos added: “He is a very experienced player that Manuel and I both know well from Spain. Perez scored seven goals in 21 appearances for Arsenal having joined them from Deportivo La Coruna for £17m in August 2016. The former Rayo Vallecano and PAOK player spent last season on loan back at Deportivo, scoring eight times in 35 La Liga appearances.